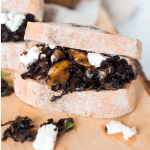 Meaty and aromatic, with so much flavor in every bite, this is the Mushrooms on Toast recipe that is going to have you jumping out of bed excited for breakfast. 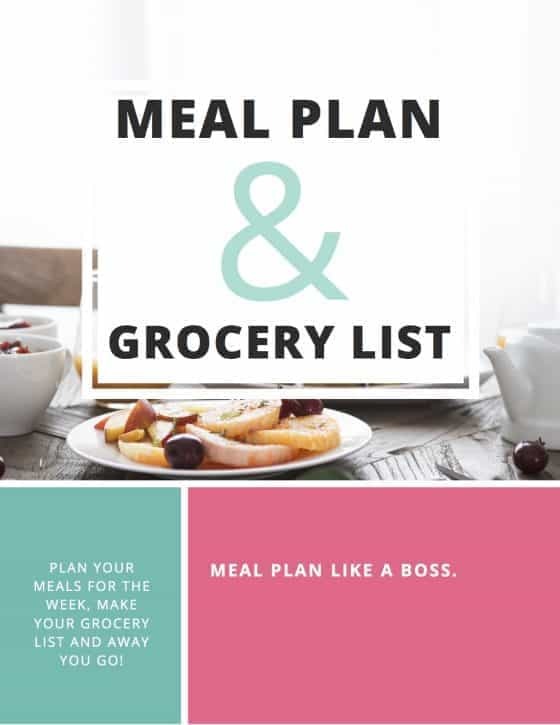 Great for a special occasion or a long lazy Sunday brunch (breakfast in bed anyone?). I cannot emphasize this enough. If you don’t get the mushrooms super thin, they aren’t going to get all caramelized and crispy on the edges and you just won’t get the full taste experience. I mean they will still be delicious, but you really want that little bit of crisp on the edge. This is the best way to get your mushrooms super thin. Just work away at those mushrooms on the thinnest setting. You will have a huge pile and it will seem like you have way too many to possibly cook, but mushrooms are full of liquid and they shrink so much when cooked. I use an older version of this one and it works well in getting the right sized slices. Plus it is easy to clean which is always handy. 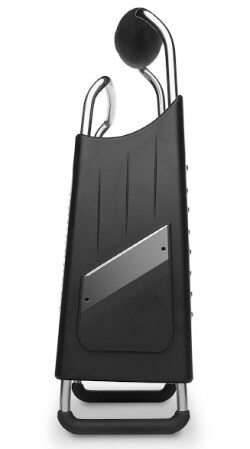 I Don’t Have A Mandolin…Can I Use A Grater? Use the setting which is usually on the side. It will be a slightly thicker cut than you would get from a mandolin, but still works well for this recipe. Can I Slice The Mushrooms By Hand? But you will be there all day long and it will be a bit of a pain. I wouldn’t recommend it. If you do go this route then use a super sharp knife and cut as thinly as you possibly can without cutting yourself. Your mushrooms are going to look almost burnt, but don’t worry they don’t taste burnt at all! Store leftover cooked mushrooms in an airtight container in the fridge for a couple of days. They can be reheated and used again no problems. I wouldn’t recommend freezing them though as they get a bit soggy. throw them on top of a pizza – YUM! Take breakfast to another level with these extremely tasty caramelized mushrooms on toast. Top with some crumbled feta on toasted sourdough and you have a breakfast you will be leaping out of bed to enjoy. 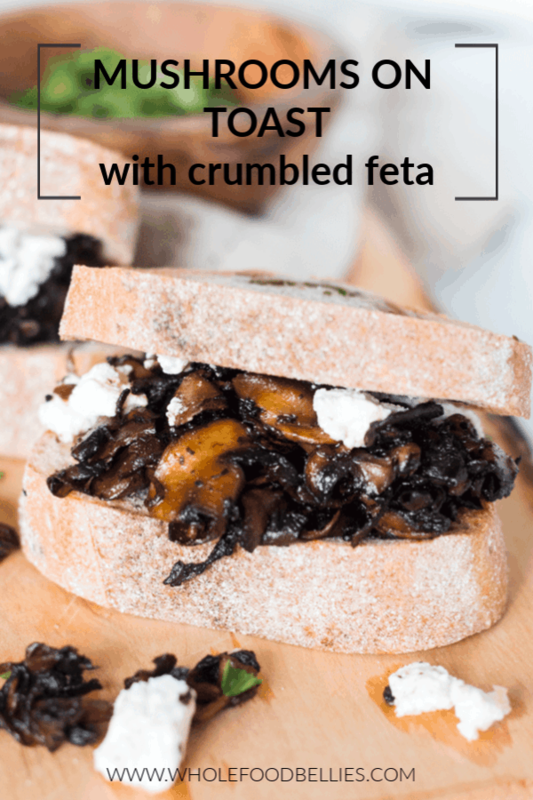 Pile the mushrooms on top of some toasted sourdough bread, crumble some feta on top and serve. A punnet is equal to about 1/2lb or 250grams Make sure you get the mushrooms as thin as possible or they won’t caramelise properly and you won’t get the desired result. I don’t have a mandolin, so I used the thinnest slice available on my grater. You don’t want to slice them by hand because it will take a long, long time and it will be nearly impossible to get them thin enough. Almond Butter Coconut Toast with Chocolate Drizzle. We just had this for breakfast and it was amazing. I have never cooked mushrooms in this way and was a bit dubious about using the tamari but it worked wonderfully. Definitely adding to my weekend breakfast rotation. It works so well, doesn’t it! Glad you were willing to give it a try!